One of the centre's many playing courts. For 30 years and counting, the Sandown indoor sports centre has been a place where most sporting buffs come to play and stay active. Centre manager and owner Ahmad Mohammad said that the indoor sports complex offers a wide variety of sports that are played indoors. Locals can hire courts for various sports including soccer, tennis, badminton, cricket and volleyball. Some locals might not know of the sports centre so staff would like to encourage the community to come along and have fun with friends. It has eight new cricket lanes which make Sandown one of the biggest cricket practice and game centres in Melbourne. And if visitors require any type of equipment, it also offers in-house purchases of tennis equipment, badminton, squash and accessories. For any parent that would like their child to learn a sport, Sandown also offers professional coaching for tennis, cricket and soccer. It also has facilities for kids’ birthday parties. As a special offer from Sandown there is a 10 per cent discount to all new enrolments in coaching groups for all types of sport. The knowledgeable, experienced and friendly staff is ready to help with any inquiry. 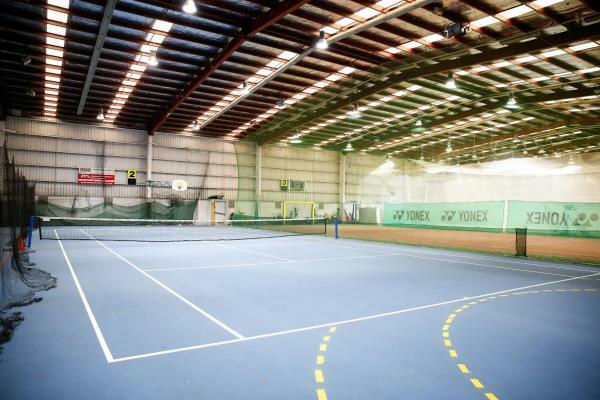 Sandown indoor sports centre is at 2 Brough Street, Springvale North, and is open seven days a week from 10am to 10pm.